Woman Smiling, 1958-59, by Lucian Freud, the only single portrait of Suzy Boyt who was to mother five of the artist’s children, will be sold by Christie’s in London in June. The auction house say it is the most significant work by Freud to be offered at auction since Benefits Supervisor Sleeping sold at Christie’s New York in May 2008 for $33.6 million – a world record price for a work by a living artist. Woman Smiling, is a tender portrait of Freud’s former prize-winning Slade pupil and lover. Their friendship lasted many decades. She appears sitting with bashful eyes, radiating with a youthful smile and projecting the affection that existed between the artist and sitter. As Lucian Freud once said, ‘Painters who use life itself as their subject-matter…do so in order to translate life into art almost literally, as it were…The painter makes real to others his innermost feelings about all that he cares for’ (L. Freud, ‘Some Thoughts on Painting’ Encounter, July 1954). Formerly in the collection of Mrs. Ian Fleming it is being offered as part of an important European private collection where it has been since 1985. The wife of the James Bond creator was an important early patron of Freud and subject of his paintings. She was the first owner and the seller of Woman Smiling when it last appeared at auction at Christie’s in 1973, selling for £5,040. Suzy Boyt’s other appearance in a Freud painting is as a character on the right hand side of Interior W11 (After Watteay) painted in the early 1980’s. Francis Outred, Head of Post-War and Contemporary Art, Christie’s Europe said Woman Smiling pioneered the style of painting for which Freud is most praised and recognised, using thick, expressionist brushstrokes and swathes of impasto to build a human physicality. The work is estimated at £3.5 million to £4.5 million. 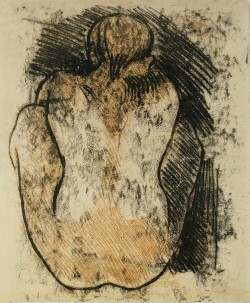 At the sale on June 28 Christie’s will offer five drawings by Freud from the collection of Kay Saatchi. 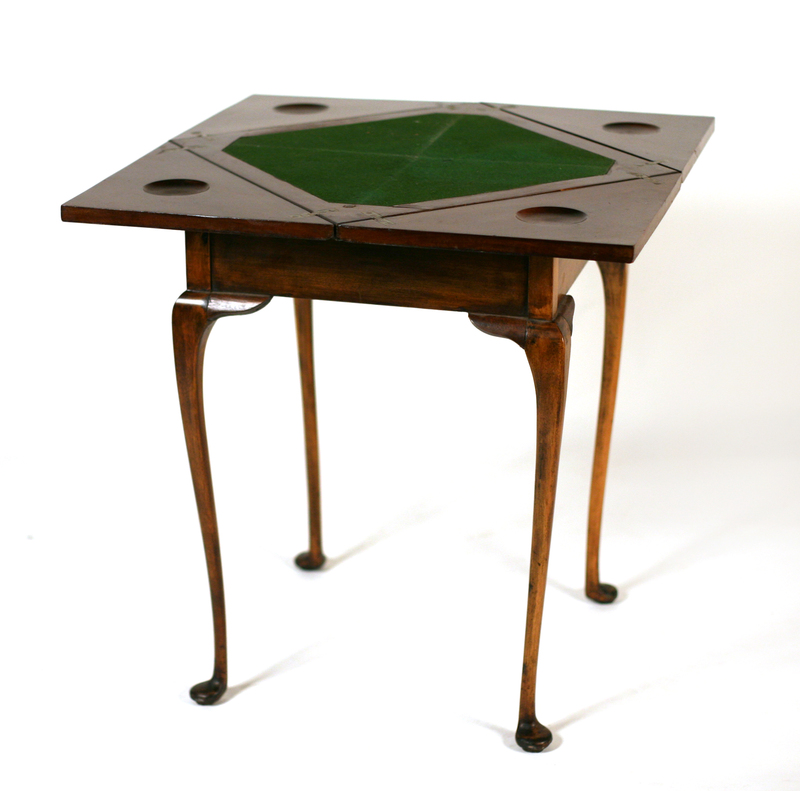 An Edwardian envelop card table at Mealy's Mallow Castle sale (estimate 220-350). (click to enlarge) UPDATE: IT SOLD FOR 300. Mealy’s will have a one day 793 lot sale of contents from Mallow Castle, Co. Cork on Tuesday April 5. It will include portraits, paintings, tapestries, prints, Irish, English and Continental furniture, silver, plate, books and garden furniture. Viewing is at Mallow Castle on April 3 and April 4. The sale will be held at the Hibernian Hotel, Mallow . UPDATE: About 82 per cent of lots on offer found buyers in a sale of 793 lots which brought in a hammer price of 650,000. The auctioneer’s said that some of the unsold lots had reserves that were too high. The top lot was a fossilised pair of Gigantic Irish Elk Antlers which made 35,000. There was a new world auction record for a print by Paul Gauguin at Sotheby’s in London today. Gauguin’s Crouching Tahitian Woman Seen From The Back sold for £577,250, more than three times the low estimate of £180,000. The traced monotype, or ‘printed drawing’, was fiercely contested by a number of determined bidders, finally selling to a private collector on the telephone after a five-minute battle. Ten prints by Gauguin from the Collection of Stanley J. Seeger, sold for £1.54 million, almost four times the pre-sale low estimate for the group. A pair of woodcuts by Albrecht Durer who is widely considered the greatest artist of the Northern Renaissance, A Map of the Northern Sky and A Map of the Southern Sky, sold for £361,250. 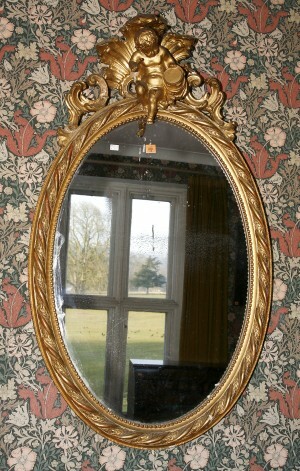 See antiquesandartireland.com post for March 22. The inaugural session of 20th century masterpieces from the Gourdon Collection at Christie’s in Paris brought in €24,293,400. The top lot of the opening day of the three day sale was a chaise longue ‘on skis’ created in 1929 by Emile-Jacques Ruhlmann. It made €2,865,000. The visionary designs of Irish designer Eileen Gray captivated the imagination of many during the public viewings at Palais de Tokyo. Gray’s black-lacquered ‘Brick’ screen circa 1922 made €1,353,000. Her ‘Bibendum’ armchair which clearly evokes the logo of tire-manufacturer Michelin made €709,000. No less than eight works of art sold made over €1 million and there were five world records for artists. These included the Ruhlmann chaise longue, a carpet by Fernand Léger at €169,000, a carpet by Francis Bacon at €109,000 , a work by René Coulon at €85,000 and furniture by Louis Majorelle at €1,162,600. The remaining four sessions of the sale take place today and tomorrow. UDATE: Overall this sale brought in 42.38 million euro over five sessions. There are signs of a recovery in the appeal of the Irish art market to an international audience in the results from Sotheby’s annual Irish sale today. On the face of it a sale that was 63.4 per cent sold by lot and 74.5 per cent sold by value might not seem great news. But the grand total of £1,907,475 sterling, (2,171,849 euro) was the highest by far of any Irish art auction worldwide for the past two years. The top lot, Roderic O’Conor’s Landscape, Cassis made £337,250 over a conservative estimate of £120,000-£180,000. It went to an Irish private buyer. Eight of the next nine lots in order of value all went to UK buyers. Grant Ford, Sotheby’s Head of Irish Pictures, said afterwards: “We saw a fabulous price for the O’Conor and a resurgence of interest in Yeats. Of notice is the fact that we witnessed an influx of new buyers and bidders from Ireland, the UK, the US as well as China”. He also commented on the reappearance of certain buyers from Sotheby’s Irish sales during the 1990’s. 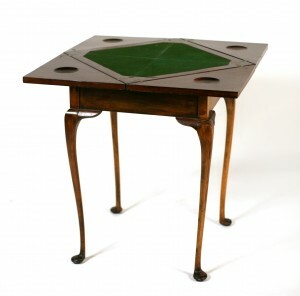 In fact this has been a feature of all latter day Irish art auctions. 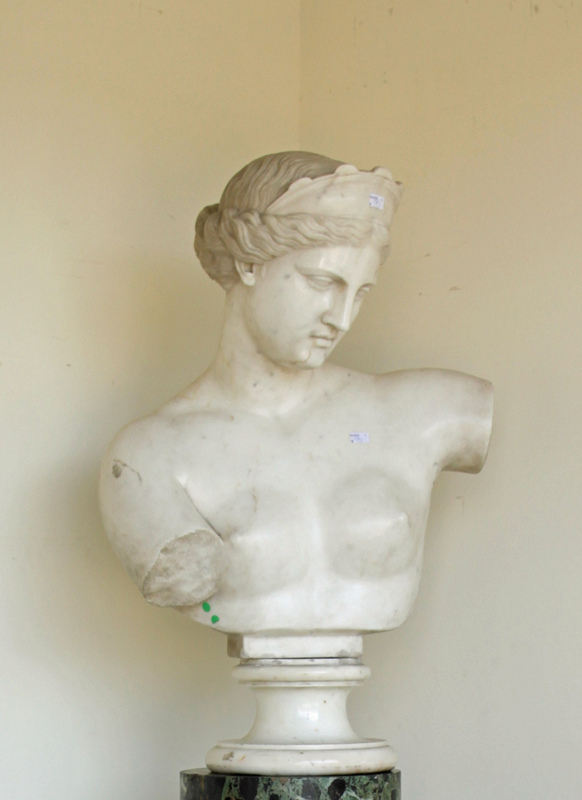 Various auction houses have remarked on the reappearance of serious collectors and art lovers who had been driven out by skyrocketing prices during the boom. In all 45 of the 71 lots on offer found buyers and most of the main pictures got away. There is much post sale negotiation over many of the unsold lots and some of them will definitely get away as well. Jack Butler Yeats’ The Child of the Sea made £229,250 over a top estimate of £150,000 while Sir John Lavery’s A Lady in Brown made £121,250, well within the estimate of £100,000-£150,000. William Scott’s Double Grey Fish Still Life made £99,250 and Mary Swanzy’s Sunlit Landscape made £91,250. Each of these works had been estimated at £60,000-£80,000. The Swanzy went to an Irish private buyer. Works by Louis le Brocquy (two), Sir William Orpen, William Scott and Paul Henry made up the remainder of the top ten lots sold. Among the artists whose works remained unsold were William Ashford, Aloysius O’Kelly, George Russell, Norah McGuinness, George Campbell, Daniel O’Neill, Gerard Dillon, Patrick Swift, John Shinnors and Tony O’Malley. See antiquesandartireland.com posts for March 26, March 6, February 16 and February 2. Christie’s is to sell around 150 works from the collection of Jeffrey Archer in London in June. The colourful former chairman of the Conservative Party spent five years in the House of Commons, 19 in the House of Lords and two at Her Majesty’s Pleasure. His years in jail spawned three best selling Prison Diaries. Lord Archer will conduct a charity sale at Christie’s, King St., on June 27. One of the highlights is the senior timekeeper’s stopwatch that recorded Roger Bannister’s first four minute mile at Iffley Road in May, 1954. 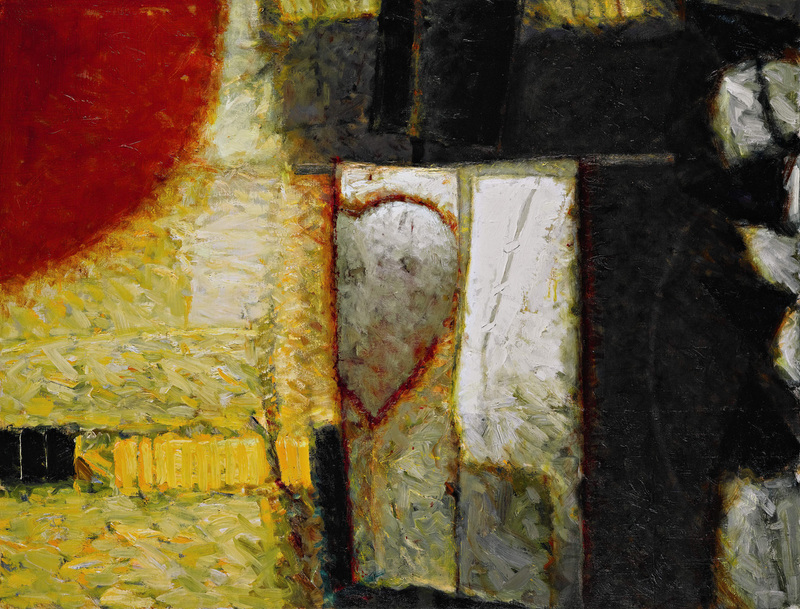 On June 28 the art collection, expected to realise around £5 million, will be sold. It includes La Seine près de Vétheuil, temps orageux, 1878, by Monet (£800,000 to £1,200,000); L’Eternelle Idole (Grande Modèle) by Auguste Rodin (£300,000 to £500,000); Marilyn (Feldman & Schellmann II.24) by Andy Warhol (£100,000 to £150,000) and Rue de la Boucherie with St Jacques by Walter Richard Sickert (£50,000 to £80,000). Jeffrey Archer has topped the bestseller charts around the world, with sales of over 250 million copies. He is published in 97 countries and 33 languages. He currently spends much of his time as an amateur auctioneer and conducts around 30 charity auctions each year. John Shinnors at the Irish sale at Sotheby's. (Click to enlarge) UPDATE: THIS WAS ONE OF THE UNSOLD PIECES. The annual Irish sale at Sotheby’s in London on March 29 offers real value for collectors. It features 71 quality lots with low estimates. This is a sale that will tell much about the state of the Irish art market in recession. It contains a carefully chosen selection of interesting Irish art, much of it at estimates that would have seemed laughably low a couple of years ago. Whether this will bring collectors back to the market, or deliver new buyers for Irish art to Sotheby’s, will become clear on Tuesday. See antiquesandartireland.com posts for March 6, February 16 and February 2. More than 250,000 hits were scored by this website in the month to March 25. Figures from Google’s Webmaster Tools show that antiquesandartireland.com continues to grow. Established last April it broke the 100,000 barrier of monthly hits at the beginning of December 2010. In January and February the average number of monthly hits was 200,000. This has now reached a quarter of a million from Ireland, the US, Britain and around the world. Les Peupliers by Claude Monet at Christie's. Monet’s Les Peupliers will feature at Christie’s Modern Art evening sale in New York on May 4. This is one of the most celebrated of the great series of works from his years in Giverny. Painted en plein air during the summer of 1891, the work is the largest of the artist’s paintings devoted to a picturesque arrangement of poplar trees, known as the “tree of liberty” in his native France. Most of the 24 works in Claude Monet’s Poplars series are housed in major museums around the world, with the remainder in private collections. The story behind them is interesting. 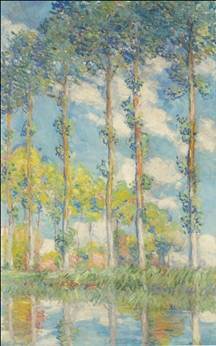 In 1891 Monet learned that a row of mature poplar trees near his house was to be cut down. He made a deal with the woodcutter to leave them standing long enough for him to continue painting them. This resulted in the series of paintings in differing perspectives, lights and seasons all conceived from his small floating studio on the waterway. Estimated at US$ 20-30 million, the painting is offered from an important private collection and remains in pristine condition, in its original unvarnished and unlined state. The top price paid for a Monet at auction was $80.4 million for Le bassin aux Nympheas from 1919. 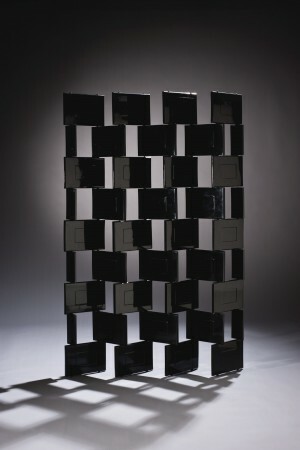 It was sold at Christie’s in London in June 2008. This colour inverted Aubusson tapestry by Louis le Brocquy is the top lot at Adams sale of Irish art in Dublin on April 6. Conceived in 1948 it was executed in 1998 as an edition of nine. 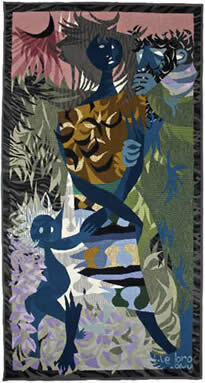 Louis le Brocquy’s first tapestry, Travellers was designed in 1948 and produced by Tabard Frères et Soeurs at Aubusson. It was one of a series that also included The Garlanded Goat and the Eden Series. Le Brocquy described the technique of designing these tapestries as something he learned directly from the master in this medium, Jean Lurcat. The present work, however is from the later ‘colour-inverted’ tapestries that were produced at Aubusson by the Lissier René Duché. 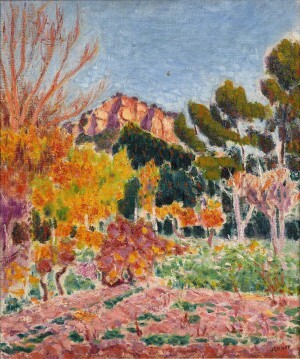 This series was first exhibited at Taylor Galleries in Dublin, where it was bought by the present owner, and then exhibited at Agnews in London. It is estimated at 40,000-60,000. 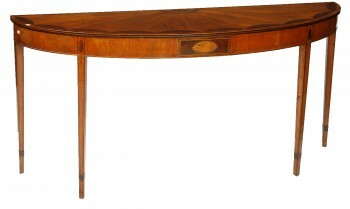 The sale at Adams is rich in 20th century landscapes and contains over 240 lots.